So much yarn, so little time. : The last sea-going paddlesteamer in the world!!! The last sea-going paddlesteamer in the world!!! 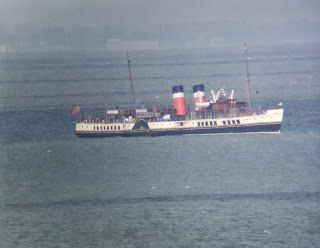 We were sitting in the conservatory eating breakfast, looking out at the sea, when I spotted an odd-looking boat. Turns out it's the last sea-going paddlesteamer in the world - wow, what a treat!! MrNifty took the photo through the telescope so it's not the best quality, but I'm still in awe. Keep going to the window to check - yup, still there!! 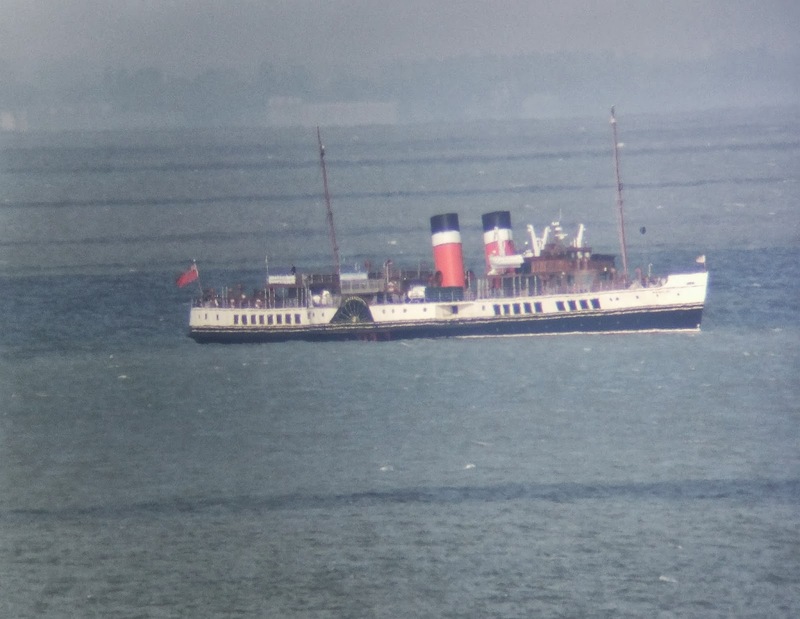 It's called the Waverley and runs a range of excursions. I think I prefer to see her from my window!